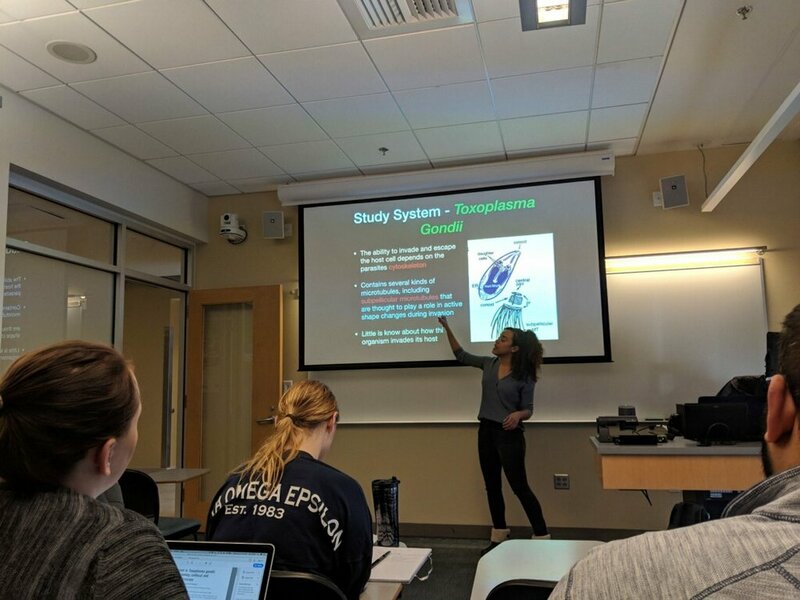 Michelle, an undergraduate in our lab, gave a great lecture this past week on the pluses and minuses of widefield and laser scanning confocal microscopy in our graduate level course at SU on Microscopy Techniques in Cell Biology. She presented one of my favorite papers by Jason Swedlow that really digs into the advantages of widefield imaging with deconvolution for resolving dim fluorescent structures in live samples. 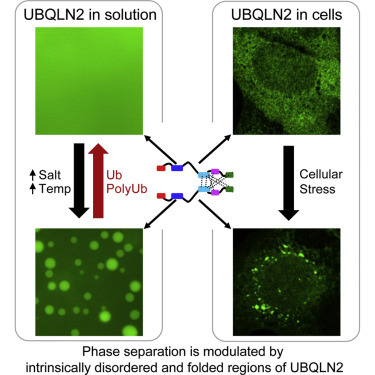 The paper was titled “Measuring tubulin content in Toxoplasma gondii: A comparison of laser-scanning confocal and wide-field fluorescence microscopy” and can be found here. Michelle presenting on Widefield Microscopy with deconvolution using the model organism Toxoplasma Gondii. Congrats to Lindsay Rathbun and what a fun IZFC! 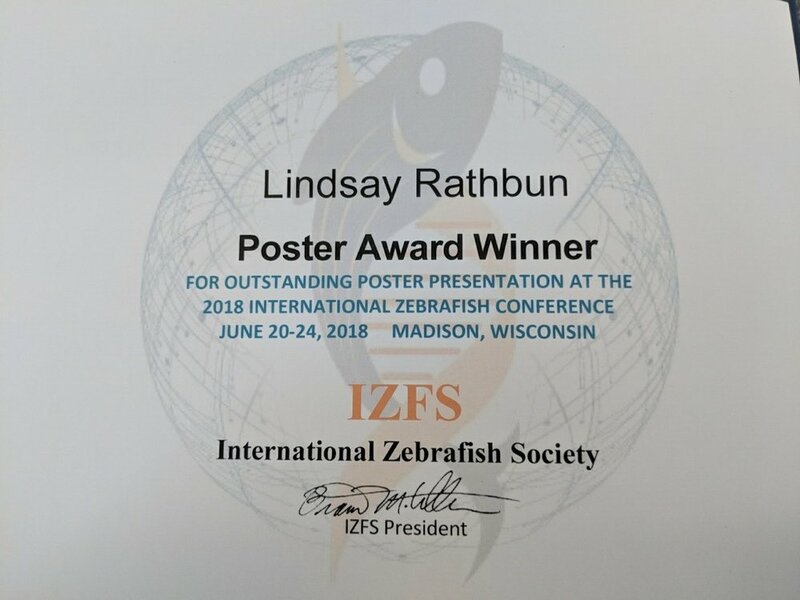 Lindsay won 3rd place at the International Zebrafish Conference (IZFC) this past week in Madison Wisconsin. 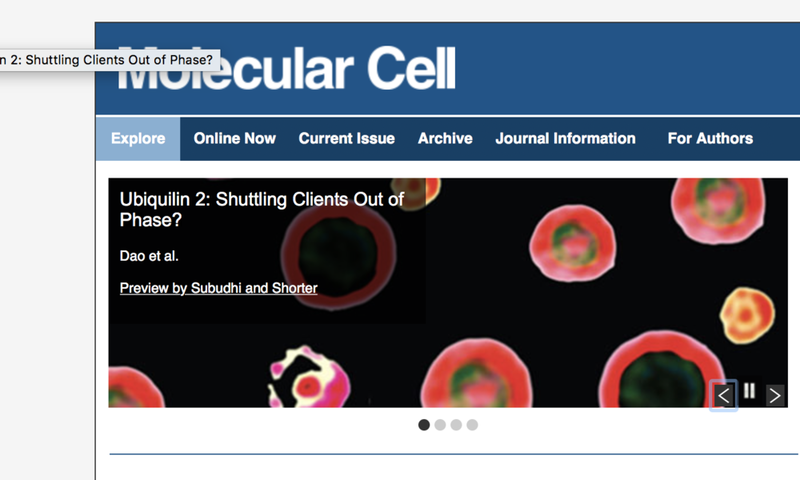 We had a great time visiting friends, learning about zebrafish, and presenting our work. 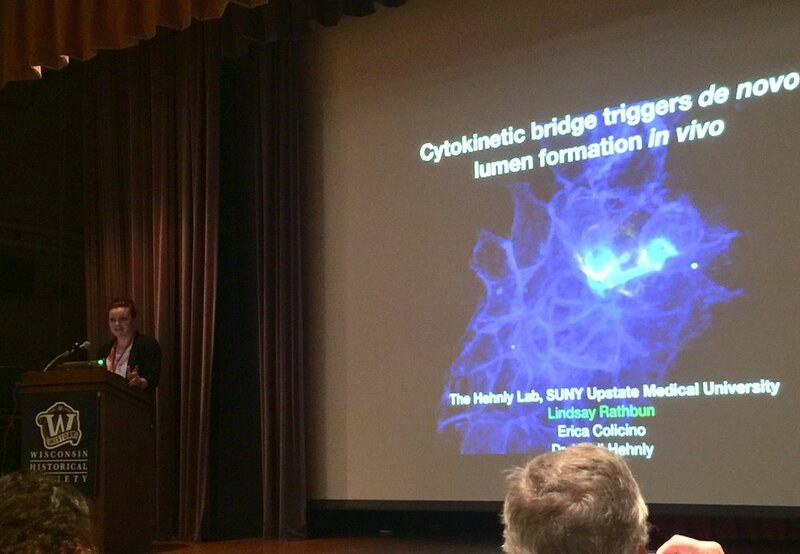 Lindsay also gave an oral presentation on her and Erica Colicino's studies testing the role of the cytokinetic bridge in lumen formation. Great Job Lindsay! I can't wait to go next year to the IZFC! 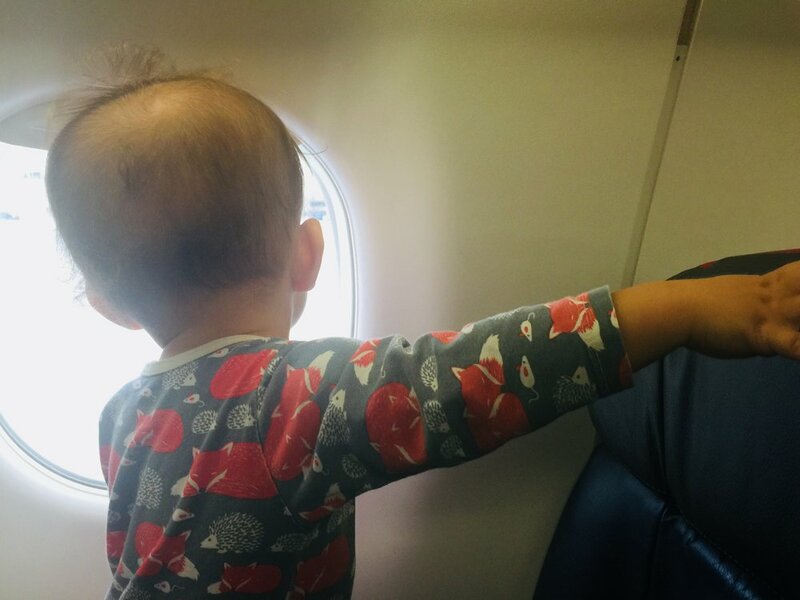 Also, my favorite conference companion Bart Hehnly Chang also had a successful flight and Madison trip!